I think I may need an hourglass - had some time off and it takes me the same amount of time to get back in gear! I guess that means that the time off was well taken?! This past weekend was full of sewing classes and photo shoots - two things I really enjoy in my off time. One item that had a deadline was this project for Father's Day - let's just say I missed that deadline to complete the entire quilt but I did get the top done! You can buy the pattern here and Christina has done a wonderful job providing different sizes. I debating on whether or not to add a border to this top - it might be pieced or it might be solid. 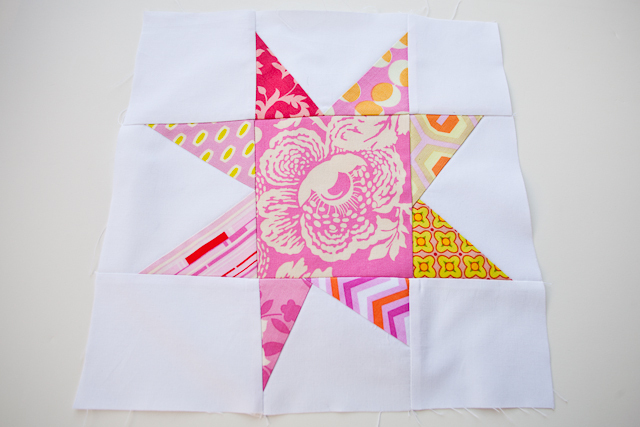 Still thinking about the quilting too, right now I am leaning more towards straight lines on the diagonal. This is the same pattern that I am using this month for the do.Good Stitches group. I can't wait for all the blocks to come in so I can put that one together. I also took a Wonky Star class at River Quilts in downtown Camas, WA. If you haven't had a chance to visit this adorable store, please make time. The owner Nancy is a sweetheart and she is building up her inventory and is bringing in some great fabrics. Kathy the instructor was wonderful and I found that I learned so much more than the Wonky Star class - she was giving me tips all along the way. 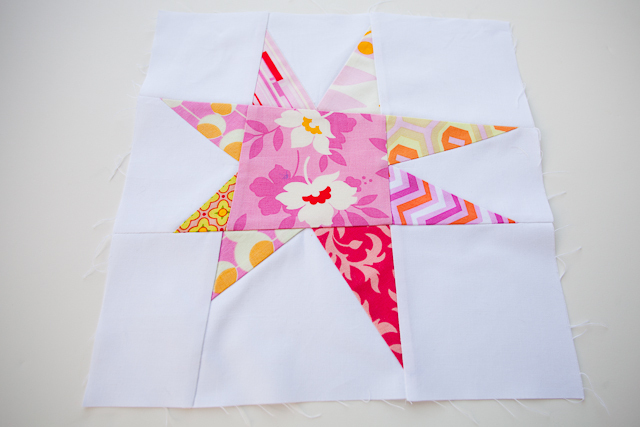 This Wonky Star pattern is a really good stash buster, I can see many of these in my future! Then it was off to check out this bad boy - he is a boy, Meredith at Modern Domestic named him John. I think the name is going to stick. :) It was a little more serger than I wanted but it was the last classroom serger they were selling and at a very good price. If you are in the market for a new sewing machine or serger and are willing to get a used one - you might want to check out their classroom sale. Wait till Kim sees that green one . . . watch out . . . she may nab that one off you. Great work Paula, you continue to amaze me. 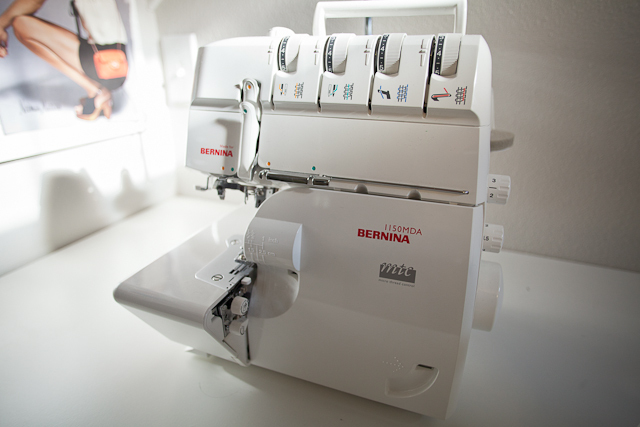 Kudos on your serger purchase too. 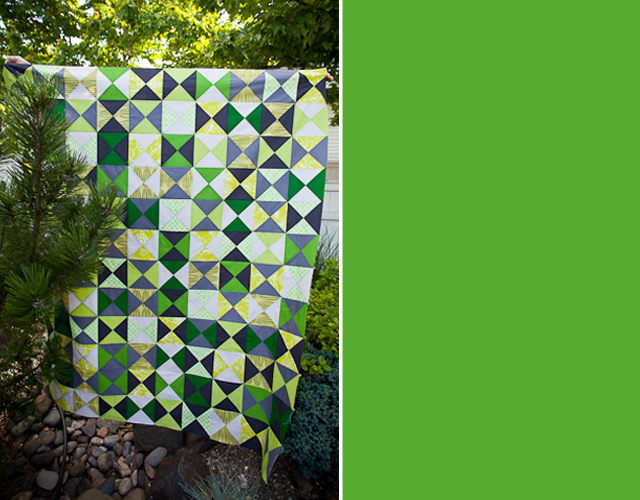 Your quilting work is just beautiful, Paula! I've never really thought about making quilts myself but I'd love to make a few, maybe with special messages in them to pass down through future generations of my family. Love the quilt and that wonky star pattern is really neat. Congrats on your new purchase, bet it will be getting lots of use.